Of course you would! Thats a no brainer question, isn't it? Let's face it, building an opt in list is the "Holy Grail" of internet marketing. Your success depends on your ability to build customer relationships and present products to an audience. It's the building the list part that is by far the most difficult. A few moments or so from now, you could be building your opt-in list faster and more effectively than ever before. The reason for this is simple - it gets attention! People are skimmers, if you don't draw their eyes to what you want them to do, they just might pass it over altogether! 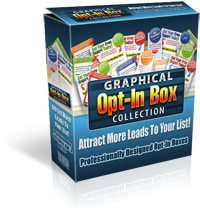 If you are building your list, you want people to notice your opt-in box. If your visitors don't clearly see your opt in offer or it blends in to the rest of your page you have just lost a potential opt-in and the opportunity to build a relationship with that customer. If that wasn't enough, you will also receive two VERY Versatile templates that will work for ANY project! 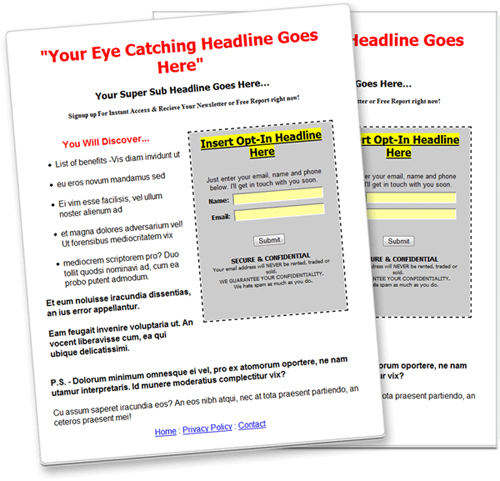 These templates come already laid-out - just replace the text with your headline, text and opt in box for a professional, super high conversion lead capture page or minisite! 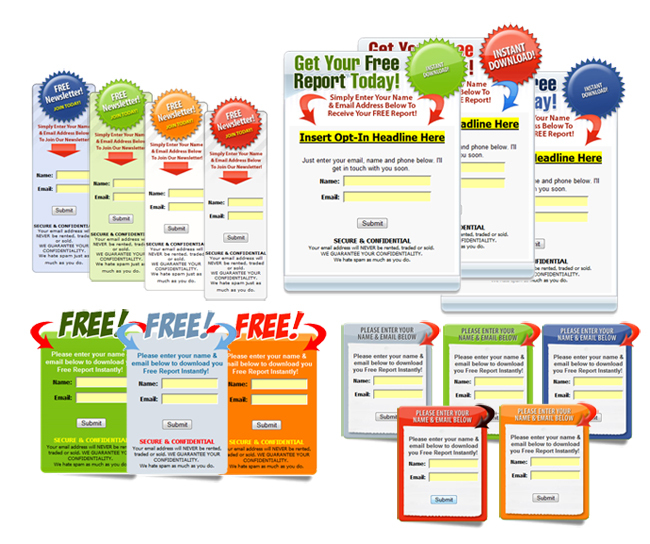 With all of these great graphics and templates it's easy for anyone to create HIGHLY effective squeeze / lead capture pages FAST& EASY! Adding your autoresponder or list building service code to these "ready to go" graphical boxes will take you just moments yet the results will benefit you forever! [YES] You may give these graphics away. an unlimited number of your own sales pages, websites, and auction pages. Ready to go product that you can sell & keep 100%! You can set your price of your choice and sell this Incredible Package From Your Site for 100% profits!